Where family fun & friendliness is guaranteed. 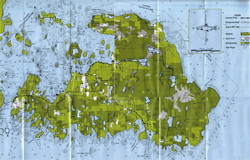 Drummond Island Maps, Cabin Rentals, Fishing, Boat Rentals, & Adventure. 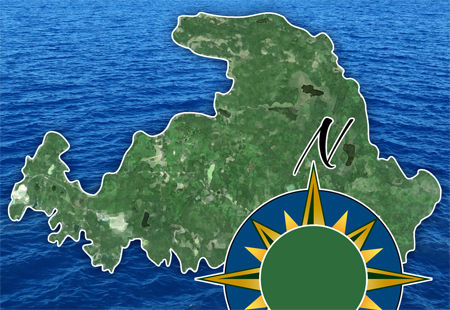 Welcome to Papin's Resort and our informative island maps page. Here you will find a myriad of great maps that will help you make the most of your time here on Drummond Island. Lying at the northern end of Lake Huron, Drummond Island is 136 square miles, the largest island in the Great Lakes. It's 87,000 acres are edged by 150 miles of shoreline. Having good maps to guide you through our adventurous island is key to having a great experience! Please do not rely on GPS and utilize our maps to help make your trip successful. Please utilize our Google Map to the right to view our location. There is also a resort printable map below. We are located on Scott Bay where fishing and recreation is key! View Larger Map of Papin's on NEW "Google Maps"
Here we have outlines the roads to take to Papin's along with providing a phone number for your convenience. 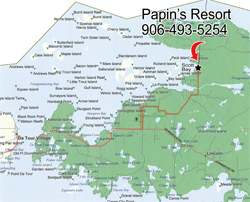 For your convenience we have our Papin's Resort Property Map. 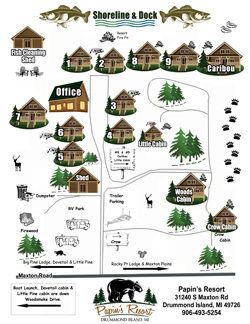 This map does not depict the following Drummond Island Rental Cabins, because they are located offsite: Rocky Pt Lodge, Maxton Plains Cabin, Big Pine Lodge, Dovetail, and Little Pine. 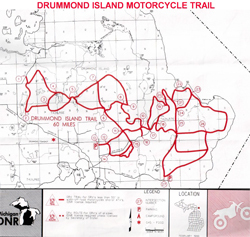 Informative Drummond Island Map for the sportman.